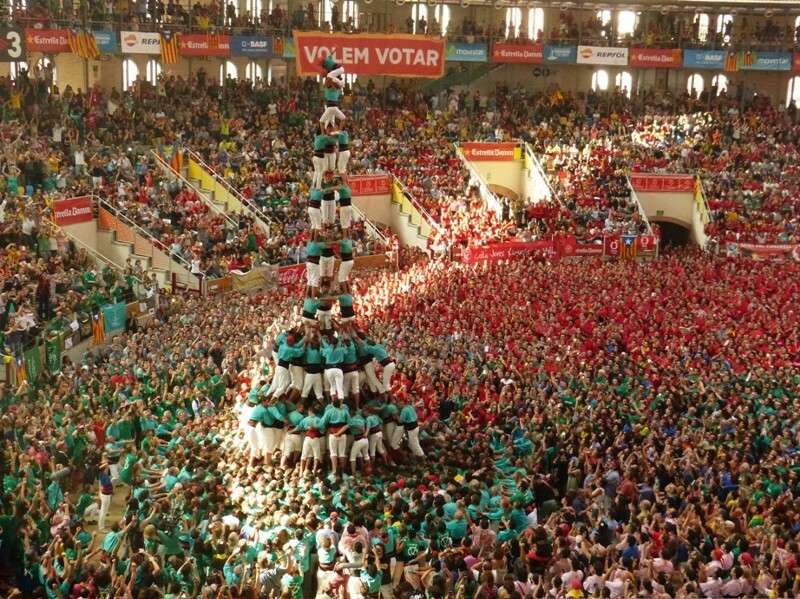 Tarragona Concurs Castells taken by calafellvalo, on Flickr. Used under a Creative Commons license. 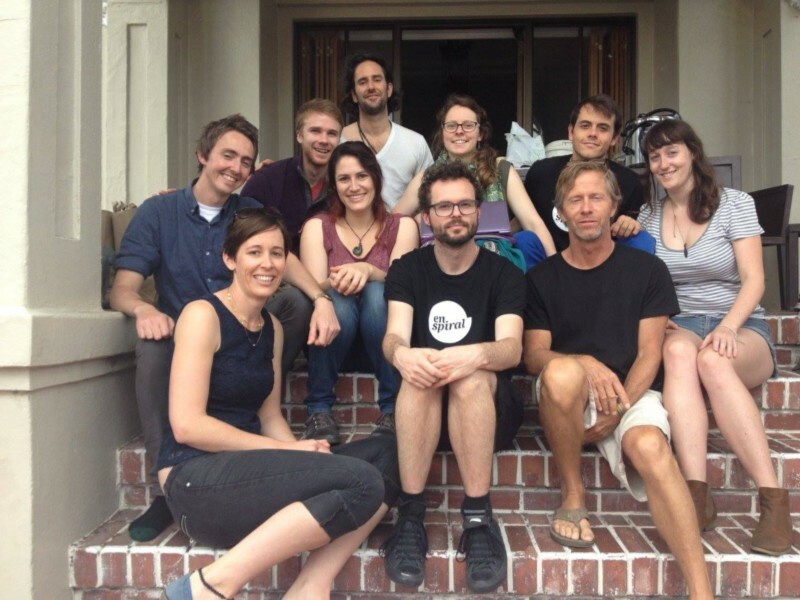 Edward West takes us through a new initiative featuring many of our common friends. From the beginning. Last month, a group of 35 designers, engineers, and entrepreneurs from all over the world gathered in Oakland, California. Together, we are working on the creation of tools, strategies, and networks to build a new collaborative commons. Our group consisted of founders and key contributors from Enspiral, Loomio, CoBudget, Chalkle, Robin Hood Cooperative, Identity.com, Hylo, Ethereum, Citizen Code, Metamaps.cc, Bitmind.co, KiwiConnect, Lifehack, Planetwork, Impact Hub, Refugio Resource, Pyxis, Triaxiom9, CivicMakers and more. With us in spirit were our friends from Backfeed, CredEx, Village Lab, Ceptr, and Swarm. We are united by the vision that people can do more, together, and are stewarding tools, communities, processes, networks and ecosystems to make that vision a reality. To that end, we are all working on the same project. Because we’re all unique, we bring different gifts, talents, and approaches to this shared intention. In the gathering, we sensed a possible harmony and collaboration, where each of us working on something that is radically unique to us, for the benefit of the whole. As we began to consciously uncover this harmony amongst our intention-aligned and disparate initiatives, we recognized that we can do more together, together. Why an interoperable ecosystem of collaborative software tools matters. From the personal power of a charismatic leader, to the threat of job loss, censure, or punishment, coordinating the actions of many toward a goal or purpose has often involved external rewards, hierarchy, force, and coercion: all different forms extrinsic motivations. As human consciousness grows more complex, individuals tend to be drawn toward more intrinsic and collaborative motivations, and the unique expression of the gifts that each individual has to bring. In this emerging environment, organizations and networks become more porous, initiatives are often lighter-weight, and more energy is put into finding synergies, stacked-benefits, best practices, and the harmonization of complex ecosystems of individuals and initiatives. When we recognize our shared purpose throughout the diversity of our initiatives, it becomes helpful to use software tools to coordinate and sensemake in the large, values aligned collectives that we’re beginning to see in our increasingly connected and collaborative world. All around us we are watching the power of software to transform communities. Any-to-many communication via the web is now within reach of nearly half of the world’s population, and growing. Currently, our largest social media platforms are closed source, privately funded, and generally designed to maximize screen time for viewing ads and data collection for selling to third-parties. While on balance they provide tremendous benefit to many, I know that we can do better. We must. We envision the future of the social web as an ecosystem of collaborative tools designed to enable communities, guilds, and loosely affiliated groups everywhere to collaborate, share resources, sensemake and create at a scale. These tools will rise as a way to stabilize and rejuvenate the commons, and more efficiently distribute resources to the parts of the network that need them most, rather than concentrating the resources in the hands of a few. As collaboration and resource-sharing between individuals, organizations, and silos becomes easier, the boundaries between our communities will become more porous, and the transaction costs and friction that gave rise to the era of the large corporations and bureaucracies will begin to dissipate. We can begin to consciously experience ourselves as participating in a single project. There is a particular challenge with communities that grow to have more complex needs than a single tool can provide. Community managers sometimes speak of “tool fatigue,” which arises when a community is asked to adopt multiple software tools. If any one of these tools does not reach a critical mass they quickly become useless, and that function, however critical it might be, is lost. A solution to the “tool fatigue” challenge lies in creating interoperability amongst these tools, and protocols for allowing the creation and integration of more tools. This way we can begin to knit together into a flexible, collaborative open social web?—?facilitating the creation of a culture of creativity, collaboration, and mutual support, for the rejuvenation of the commons?—?at the scale required for a connected and collaborative humanity. Universal Construction Kit? —?a 3D printable set of hybrid pieces that allows you to connect Legos with Tinkertoys, Lincoln Logs and more. Each toy “system” is a fixed set of possibilities or paradigms, but with these hybrid connectors, you can create anything you can imagine using pieces from half a dozen different systems. An ecosystem of tools that interoperate will allow communities to choose the tools that are right for them, and leave aside those that aren’t. It will allow experimentation and uncommon use cases, and will enable individual tools to specialize?—?focusing on building the best user experience for specific user actions. At the gathering we agreed that the core challenge is to create a coherent user experience that crosses between the various functions of the ecosystem of interoperable tools. We began exploring a number of approaches to solving some of these challenges. As Jef Raskin and others have noted, “As far as the customer is concerned, the interface is the product.” While stacking a series of complex tools and functions on each other and requiring users to learn these systems might work in an enterprise context, where people are compelled by their job responsibilities to use all the required tools, in an environment of loose alliances, distributed networks, guilds, and movements, we have to work with intrinsic motivations, dramatically varying commitment levels and time availability. In this context, any boundaries to productive contribution become exclusionary, which is counter to creating a movement of inclusion and participation. For our vision of sophisticated technological interoperability to be real, where tools are passing data to other tools, group authentication is managed by one tool for an other, data is exportable, people are managing budgets in one tool, and making important decisions in another; for it to work, it has to feel easy, fun, simple, obvious; it has to feel like play. By the end of our gathering, we had coalesced around a number of the problems, the needs, and the specifics of our vision, and the Collaborative Technology Alliance was seeded. This group will create (and adopt when already available) standards, schemas, and protocols to enable interoperability amongst collaborative software tools. This group will also promote user-centered design amongst our member tools, and help to generate a common UI/design language for the ecosystem towards this end. Here are a number of areas that we have decided are critical to this collaborative ecosystem. Intent-casting + Collaborative discovery: discovery of aligned intentions + matching of available requests and offers. Can include bounties/price tags in a variety of currencies. If this vision inspires you, please join us. We are building a network of allies all over the world who are implementing this vision together. Whether you’re interested in contributing your technology, your expertise, helping to build out the standards, being a pilot community for the first integrated toolset, or contributing financial resources, we’d love to hear from you. To the many others who have put energy toward these goals, both currently, and in the past, we offer our gratitude, and ask for your support. We give special thanks to pioneering initiatives like Planetwork’s “Augmented Social Network” some of whose authors attended our gathering. Let us know what we are seeing that’s right, and what we’re missing and where we can use your help. Please join us in the discussion in our community on Hylo. Together, we can create a more connected, creative, collaborative, resource-sharing humanity. Together, we can create whatever we can imagine. Thank you to Chloe Waretini, Mikyö Clark, Connor Turland, Ishan Shapiro, Alanna Krause, Silvia Zuur, Derek Razo, Arthur Brock, Josh Vial and Greg Cassel for inspiration, suggestions and edits, and all other attendees for their collaboration and inspiration.